Niagara's Watercooler: What Did Dudley Do Right? What Did Dudley Do Right? 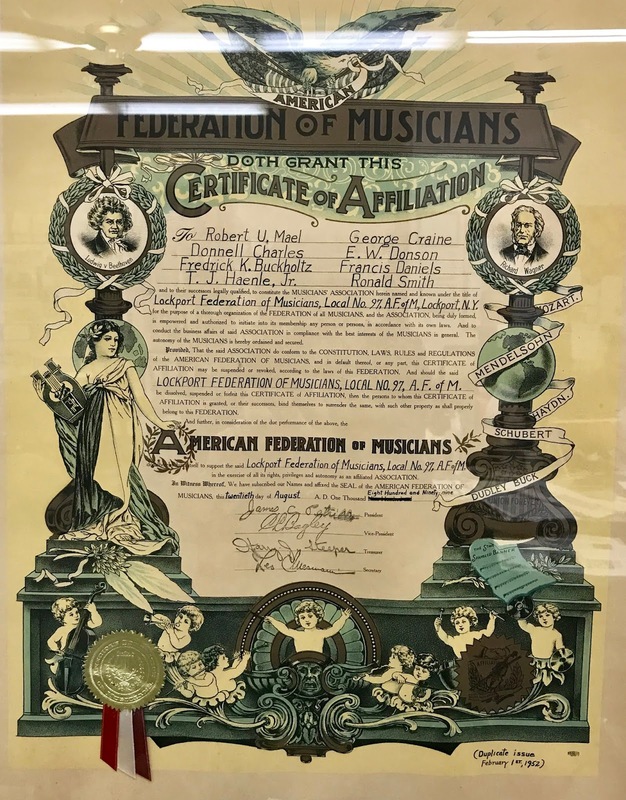 A few months ago, we received a donated item: a fairly large framed certificate from the American Federation of Musicians (formed in 1896) that was dated August 20, 1899, marking the affiliation of the Lockport Federation of Musicians, Local 92, with the national organization. Being a musician, myself, we hung it on the wall next to my desk and the photocopy machine where it can easily be seen and ignored every day by anyone in the office...except until today when something unusual was noticed. There are seven names of famous composers, two with portraits that the artist has included in the "decorations" around the print: Beethoven, Wagner, Mozart, Mendelsohn, Haydn, Schubert, and Dudley Buck. Now it's been a long time since I graduated college, and there were many courses dealing with musicians and music history, but I confess that I never remember ever hearing the name of Dudley Buck. 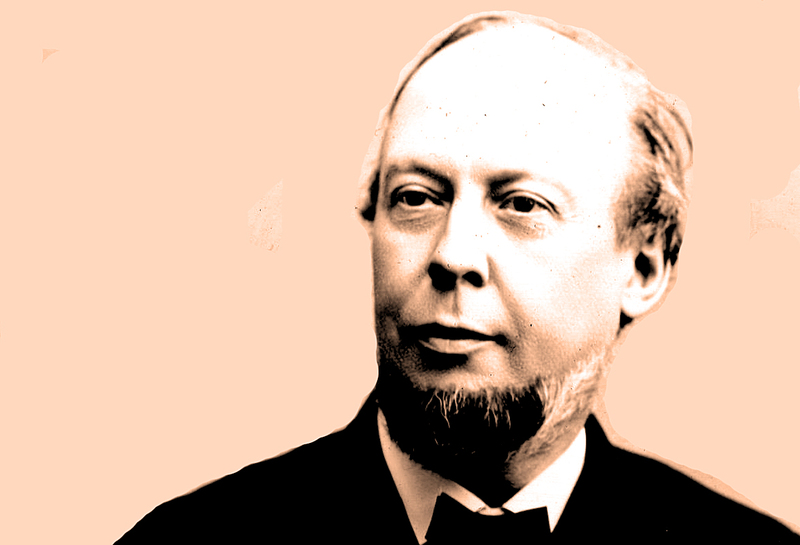 Just who is this man and why did he end up being included with six of the most well-known classical composers? Turns out that the artist painted in a clue. Right below Buck's name is a scroll of music manuscript with the title, "The Star Spangled Banner." Now most of us know that our national anthem was composed by Francis Scott Key, so what's the connection with Dudley Buck? A quick Google search reveals that Buck (1839-1909) was an American composer who played organ and wrote articles on music. His most notable books were the "Dictionary of Musical Terms" and "The Influence of the Organ in History." His musical compositions included church music, cantatas, a grand opera, a comic opera, a symphonic overture, a symphony and other choral and orchestral works. He also conducted both orchestras and choruses, toured and performed on the pipe organ, and taught private music lessons. His works were well-received in both America and England during the 1880's, with Buck being at that time the nation's most performed choral composer. And the connection to our national anthem? Despite the success of his other works, today he is known for his organ composition, "Concert Variations on the Star Spangled Banner, Op.23." If you haven't heard this organ piece, you might have heard his orchestral arrangement of it, which is often played at Independence Day concerts. Research did not turn up any connection between Buck and Niagara County, so who included the name of this popular-at-the-time (1899) composer along with the other classical "greats"? It's doubtful the certificate's artist would have done so without being instructed. 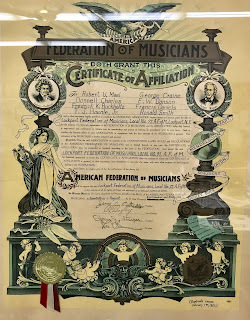 Most likely, someone involved with the design of the certificate knew the music of and admired Dudley Buck and had his name added due to the popularity of Buck and his compositions at that time. Seeing as Dudley Buck is not exactly well-remembered over 100 years later, three sayings about fame and fortune come to mind: "Don't give up your day job. ", "Here today, gone tomorrow." and "Enjoy your 15 minutes of fame." Ron Cary is the Deputy Niagara County Historian. The office is located at 139 Niagara Street, and is open Wednesday, Thursday, and Friday from 8:30 until 4:30.